My special guest today is young adult science fiction author Steve Bellinger. He’s chatting with me about The Chronocar. One of the original Trekkies, my wife Donna and I plan to renew our wedding vows with a full Star Trek-themed ceremony; I’ll wear an admiral’s dress uniform, and she will be decked out in a custom-made leather-and-lace Klingon wedding dress. 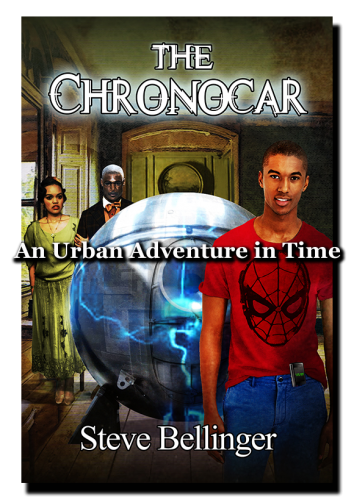 Please tell us about The Chronocar. After getting a sci-fi short story published in 2012, I decided it was time to write a novel. I had been playing around with The Chronocar for a couple of years. I finally got serious and did a year of research to create a time travel story that takes place in Chicago during the Red Summer Riots in 1919. In 2015 it was picked up by Barking Rain Press. 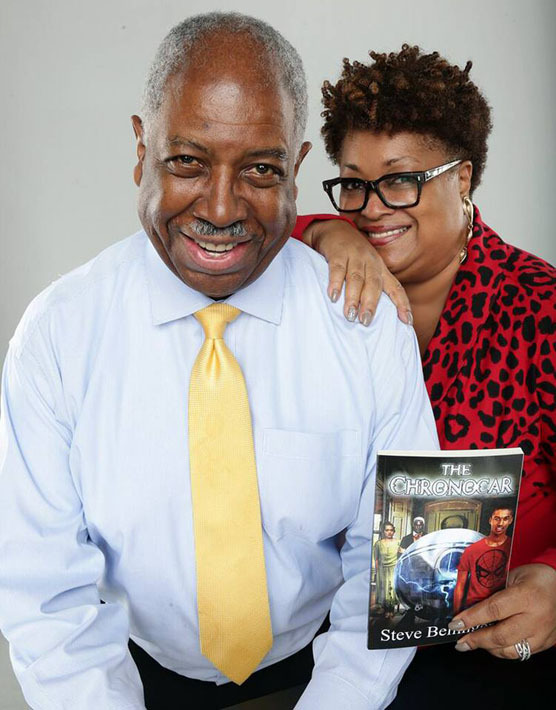 It has gotten many excellent reviews and was the August 2015 Black Science Fiction Society’s book of the month. I have lived the dream of doing book signings at major independent bookstores, libraries and my Alma Mater, the Illinois Institute of Technology, where The Chronocar has been placed of the shelves of the library and the university’s archives. Here is a YouTube video of my wife Donna reading an excerpt from The Chronocar. My second novel The Edge of Perception should be out later this year. It is a sci-fi/paranormal love story that starts out with a poor African American kid in the Chicago ghetto in the 1960’s who is haunted by a curse that was put on his family a century earlier. I am just putting the finishing touches on the third book, which will be a techno-thriller. Probably the first time I saw my name in print when I wrote something for my high school newspaper. I have since written everything from articles for a small town newspaper, short stories, radio drama, Sunday school skits (used in several churches) and for three years I wrote the Junior High Sunday School text for the AME Church worldwide. I work full time as a computer support specialist. In the past I’ve been a software instructor and a web developer. My wife, a business coach, is a morning person. I am a night person. So it actually works out for me because I tend to do my best writing at night when it is quiet with no distractions. Whenever I find myself with writer’s block, or just not motivated to work on my current project, I will sometimes write a little fan fiction. That’s where anyone can write their own stories about Star Trek, Dr. Who, Harry Potter or whatever your favorite TV, movie or book series might be. The real fun is when you do “crossovers” where you take characters from one series and put them into another. My fan fiction has actually gotten some pretty good reviews. As a very young child I wanted to be a bus driver, then a TV repairman. With the advent of the space program, I wanted to be an astronaut. Now, when I grow up, I want to be a starship captain. I was a late bloomer. I was 65 years old when The Chronocar was published, and it is doing rather well. This should encourage older persons to remember that it is never too late to pursue your dream. And for younger people with the dream of getting published—don’t wait until you’re 65!